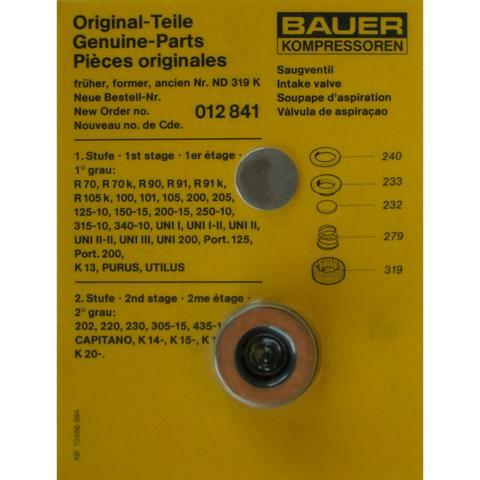 Bauer Suction Valve Kit 012841 - August Industries Inc.
Genuine Bauer suction valve kit 012841. Please see the chart below to determine proper application of this part number. You will need a Bauer valve tool 004555 or 082048 to service this valve.